David Alan Mamet ( born November 30, 1947) is an American playwright, essayist, screenwriter, and film director. 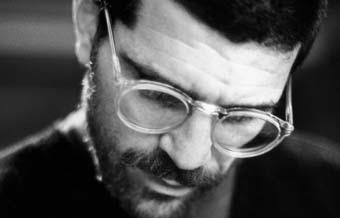 Best known as a playwright, Mamet won a Pulitzer Prize and received Tony nominations for Glengarry Glen Ross (1984) and Speed-the-Plow (1988). As a screenwriter, he received Oscar nominations for The Verdict (1982) and Wag the Dog (1997). Mamet's books include: The Old Religion (1997), a novel about the lynching of Leo Frank; Five Cities of Refuge: Weekly Reflections on Genesis, Exodus, Leviticus, Numbers and Deuteronomy (2004), a Torah commentary with Rabbi Lawrence Kushner; The Wicked Son (2006), a study of Jewish self-hatred and antisemitism; and Bambi vs. Godzilla, a commentary on the movie business. 1700 – Battle of Narva – A Swedish army of 8,500 men under Charles XII defeats a much larger Russian army at Narva. 1718 – Swedish king Charles XII dies during a siege of the fortress Fredriksten in Norway. 1782 – American Revolutionary War: Treaty of Paris – In Paris, representatives from the United States and the Kingdom of Great Britain sign preliminary peace articles (later formalized as the 1783 Treaty of Paris). 1786 – Peter Leopold Joseph of Habsburg-Lorraine, Grand Duke of Tuscany, promulgates a penal reform making his country the first state to abolish the death penalty. Consequently, November 30 is commemorated by 300 cities around the world as Cities for Life Day. 1803 – In New Orleans, Louisiana, Spanish representatives officially transfer the Louisiana Territory to a French representative. Just 20 days later, France transfers the same land to the United States as the Louisiana Purchase. 1804 – The Democratic-Republican-controlled United States Senate begins an impeachment trial against Federalist-partisan Supreme Court of the United States Justice Samuel Chase. 1824 – First ground is broken at Allenburg for the building of the original Welland Canal. 1829 – First Welland Canal opens for a trial run, 5 years to the day from the ground breaking. 1853 – Crimean War: Battle of Sinop – The Imperial Russian Navy under Pavel Nakhimov destroys the Ottoman fleet under Osman Pasha at Sinop, a sea port in northern Turkey. 1864 – American Civil War: Battle of Franklin – The Army of Tennessee led by General John Bell Hood mounts a dramatically unsuccessful frontal assault on Union positions commanded by John McAllister Schofield around Franklin, Tennessee, with Hood losing six generals and almost a third of his troops. 1868 – The inauguration of a statue of King Charles XII of Sweden takes place in the King's garden in Stockholm. 1902 – American Old West: Second-in-command of Butch Cassidy's Wild Bunch gang, Kid Curry Logan, is sentenced to 20 years imprisonment with hard labor. 1916 – Costa Rica becomes a signatory to the Buenos Aires copyright treaty. 1934 – The steam locomotive Flying Scotsman becomes the first to officially exceed 100mph. 1942 – World War II: Guadalcanal Campaign: Battle of Tassafaronga – A smaller squadron of Japanese destroyers led by Raizo Tanaka defeats a US cruiser force under Carleton H. Wright. 1947 – 1947–1948 Civil War in Mandatory Palestine begins on this day, leading up to the creation of the state of Israel. 1967 – The Pakistan Peoples Party is founded by Zulfiqar Ali Bhutto who becomes its first Chairman later as the Head of state and Head of government after the 1971 Civil War. 1972 – Vietnam War: White House Press Secretary Ron Ziegler tells the press that there will be no more public announcements concerning American troop withdrawals from Vietnam due to the fact that troop levels are now down to 27,000. 1982 – Michael Jackson's Thriller, the best-selling album of all time, is released. 1989 – Deutsche Bank board member Alfred Herrhausen is killed by a Red Army Faction terrorist bomb. 1993 – U.S. President Bill Clinton signs the Brady Handgun Violence Prevention Act (the Brady Bill) into law. 1995 – Bill Clinton, then President of the United States, visited Northern Ireland, and spoke in favour of the "Northern Ireland peace process" to a huge rally at Belfast City Hall. He called terrorists "yesterday's men". 1998 – Exxon and Mobil sign a $73.7 billion USD agreement to merge, thus creating Exxon-Mobil, the world's largest company. 1999 – In Seattle, Washington, United States, protests against the WTO meeting by anti-globalization protesters catch police unprepared and force the cancellation of opening ceremonies. 2001 – In Renton, Washington, United States, Gary Ridgway aka The Green River Killer is arrested. 2004 – Longtime Jeopardy! champion Ken Jennings of Salt Lake City, Utah finally loses, leaving him with US$2,520,700, television's biggest game show winnings. 2004 – Lion Air Flight 538 crash lands in Surakarta, Central Java, Indonesia, killing 26.